His ability to teach geology through Johnny Cash covers notwithstanding, Alley has for years been on the forefront of climate science. 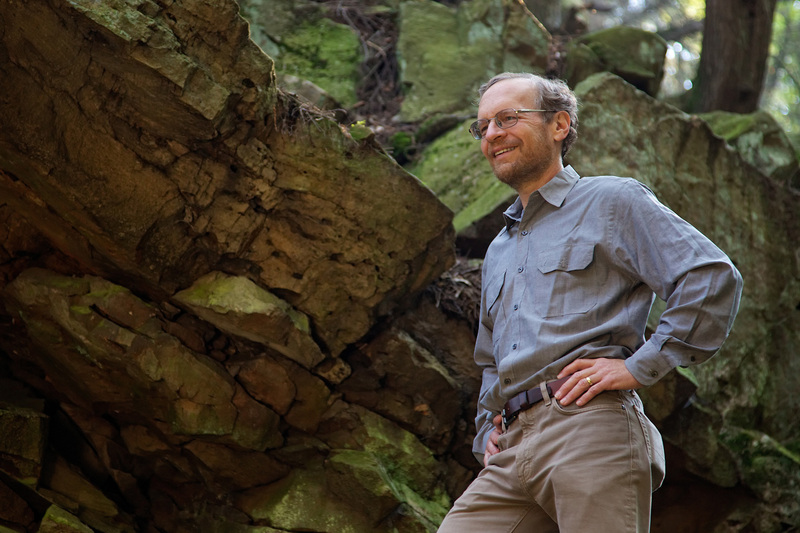 It’s not just that he can be found hiking glaciers in Greenland or Antarctica, but how he finds ways to make his research—and its massive implications for all of us—accessible. It’s an honor to be on the same campus as this guy. Latest from the BOT: My colleague Lori Shontz ’91, ’13g is all over this week’s Board of Trustees meetings. In case you missed it, she filed this last night on efforts to boost alumni participation in board elections, and posted this earlier today on the outside consultant brought in to help facilitate discussion on governance reform. She’ll have more later from Friday’s sessions. A campus menace no more: Onward State takes a celebratory tone in its coverage of the removal of the “colored tiles of death” from in front of the Palmer Museum of Art. If you’re not familiar, the multicolored, geometric patterns that covered the sidewalks in front of the museum had a tendency to get very slippery when wet. They will not be missed. Keeping Kidd: The University Libraries just made a very cool acquisition, securing the archives of famed graphic designer Chip Kidd ’86. The man responsible for some of the most iconic book covers of the past 20 years is handing over a treasure trove of design artifacts and inspiration, including design work going back to his undergraduate days, correspondence with authors like David Sedaris, John Updike, and Cormac McCarthy, and hundreds of pop-culture collectibles that have inspired his work over the years. Excited for this stuff to go on public display. Entry filed under: Board of Trustees, University Park. Tags: Chip Kidd, IPCC, National Academy of Sciences, Onward State, Richard Alley.